Happy Hour Chamber Concerts presents the sizzling duo of Ann Marie Morgan and Yayoi Barrack playing viols for you. 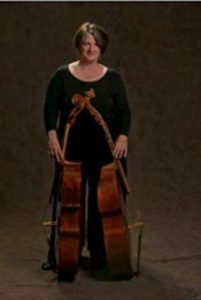 Come kick off your shoes, grab a libation and some nibbles, greet your friends, and sit back as Ann and Yayoi bring you an hour of attention-grabbing solo and duo music for the viola da gamba. You’ll hear music of Jenkins, Schenk, Simpson and others. Click here to see Yayoi Barrack’s program notes.